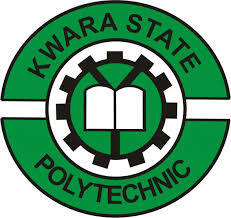 The Kwara State Polytechnic, KWARAPOLY Higher National Diploma (Full-Time and Part-Time) Programmes Admission Form, Entry Requirements, Method of Application for the 2018/2019 Academic Session. 5. Applicants for Metallurgical Engineering Technology should be graduates of National Diploma in Metallurgical Engineering Technology only. 6. Applicants for Mining Engineering Technology should be graduates of National Diploma in either Mineral Resources Engineering, Mineral & Petroleum Resources Engineering or Mining Engineering Technology only. 7. Holders of ND Computer Engineering are not admissible into HND Electrical/Electronics Engineering Technology and HND Computer Science Programmes. 8. Holders of ND Mass Communication will not be admitted into HND Public Administration. 9. Candidates will not be admitted into HND programmes different from those they had in their ND programmes. 10. Candidates should have remedied their O Level deficiency before applying for the HND programme. 11. Candidates for the HND programmes with options should indicate the option they prefer in their Application Forms. IT IS MANDATORY FOR HND FULL TIME APPLICANTS TO FILL THE JAMB REGISTRATION NUMBERS USED FOR THEIR ND PROGRAMMES. ONLY APPLICANTS WITH JAMB REGISTRATION NUMBERS WILL BE CONSIDERED FOR ADMISSION.